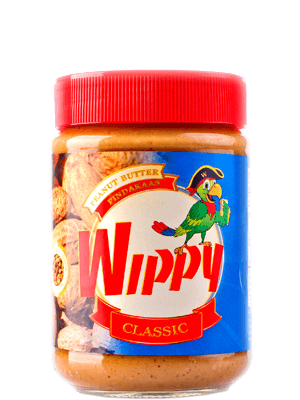 The original (classic) peanut butter is the variant with a very nice structure, while it does not contain any preservatives. This peanut butter has a coarser texture, so you taste small pieces of peanut at every bite. For this variant we have added a Caribbean ingredient. In 2010 our diet line was introduced. It consists of two variants, i.e. sugar free and salt and sugar free. Fosteng is our Special Edition, which is packed in a six-corner jar with a jute cloth. 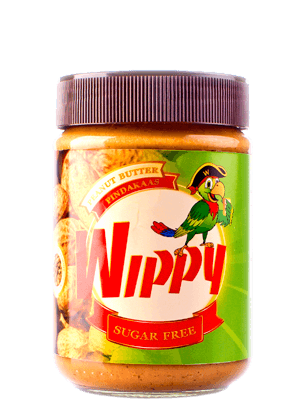 WIPPY peanut butter is produced in 6 (six) varieties, consisting of 95% peanuts and contains no preservatives. Total Fat 15 g : 23%. The original (classic) peanut butter is the variant with a very nice structure, while it does not contain any preservatives. In addition, the peanut butter consists of 95% roasted peanuts. Classic is available in glass jars with a content of 680 gr., 340 gr., and 180 gr. This peanut butter has a coarser texture, so you taste small pieces of peanut at every bite. 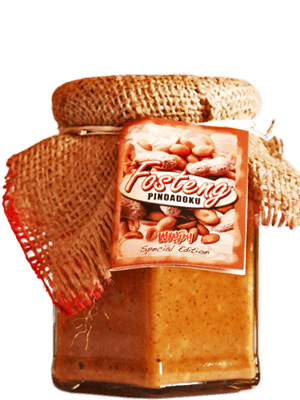 This variant also consists of 95% roasted peanuts and is available in glass jars with a content of 680 gr., 340 gr., and 180 gr. For this variant we have added a Caribbean ingredient. The Agiuma Neng Pepper from Surinam gives the peanut butter a delicious aroma, and will let you crave for more. Available in glass jars with a content of 340 gr. and 180 gr. In 2010 our diet line was introduced. It consists of two variants, i.e. sugar free and salt and sugar free. Both variants are sweetened with Stevia, a natural sweetener and are a perfect alternative for people who love peanut butter, but are on a sugar-free or salt-free diet. 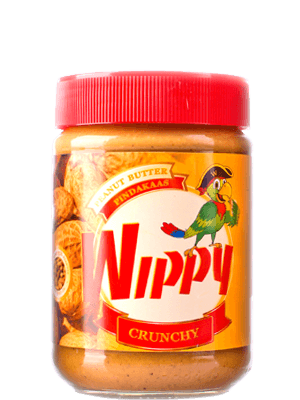 Available in glass jars with a content of 340 gr. Fosteng is our Special Edition, which is packed in a six-corner jar with a jute cloth. 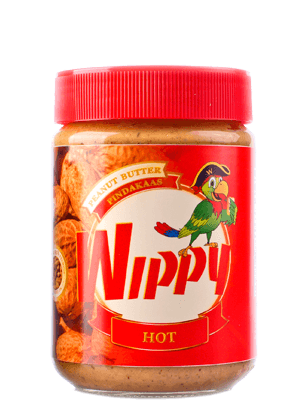 This variant is based on a typical Surinam recipe, which is somewhat spicier than WIPPY Hot. Available in a glass jar of 240 gr.